Biophile - Page 2 of 2 - Information for primatologists, biologists, conservationists, and anyone with a passion for the natural world. In an article appearing in this week’s Current biology, Dr. Sam Ridgway provides the first ever report of vocal mimicry by a beluga whale. 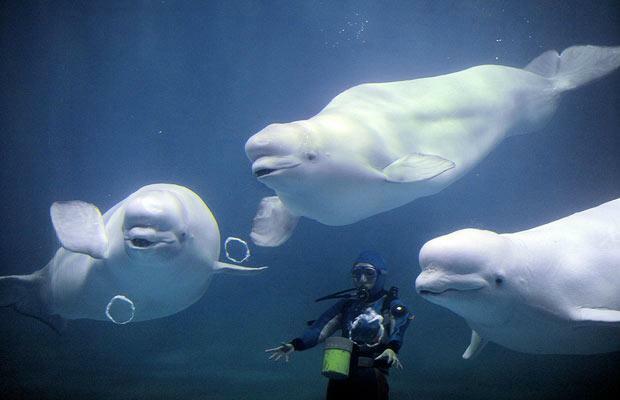 The male beluga spontaneously produced sounds that resemble human speech, which he appeared to learn by listening to divers communicate with each other. The data was first collected nearly 30 years ago – Dr. Ridgway explained to NPR why he waited so long to publish the results. While certainly an important and interesting finding, this is not the first time that mimicry of human language has been reported for a marine mammal. The New England Aquarium reports that the first documented case involved Hoover, a harbor seal who regularly produced several phrases, as well as his own name. Although rarely acknowledged, a study in the 1960’s by Margaret Howe focused on teaching a bottlenose dolphin to produce human words. He eventually learned to provide reasonable approximations of many words, and could recite numbers in their proper sequence. Of particular importance was the dolphin’s reported ability to understand syntax – the order in which words were presented to him – and his consistently accurate responses. Unfortunately, Howe’s work only spanned a few short months. While other great language studies have been conducted with marine mammals (most notably by Lou Herman and Ron Schusterman), Sam Ridgway’s publication this week has resurrected our fascination with how well other species can learn to produce and understand human language. Critics have always argued that we should make a greater effort to understand other species on their terms, deciphering what they might be communicating to each other naturally. That’s certainly fascinating and appropriate. But, have we moved past the era of exploring the possibility that other species might find us interesting and be willing to communicate using a human language? I hope not. Thanks for dusting off your old data Dr. Ridgway, your new paper is intriguing and exciting. It’s always gratifying to see good people receive the recognition that they deserve. Dr. Steven Amstrup, winner of the 2012 Indianapolis Prize, continues to make headlines. In a recent Christian Science Monitor interview, he details the current situation for polar bears, and discusses the changes that are necessary to save this magnificent species. Even better, Dr. Amstrup is the current CSM Editors’ pick as a “Difference Maker”, a well-deserved distinction. 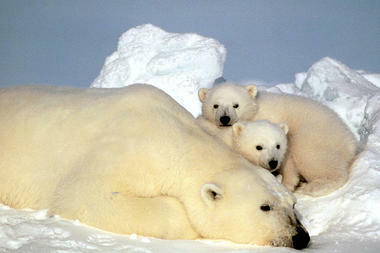 Congratulations Steven, polar bears are lucky to have you on their side. 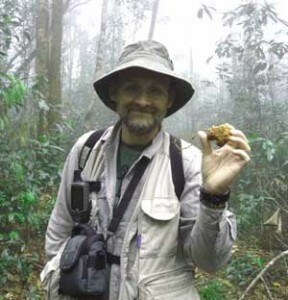 On October 16th, Dr. Michael Huffman will present a lecture on the use of medicinal plants by African great apes at IU Bloomington. Dr. Huffman is on the faculty of Kyoto University’s Primate Research Institute. 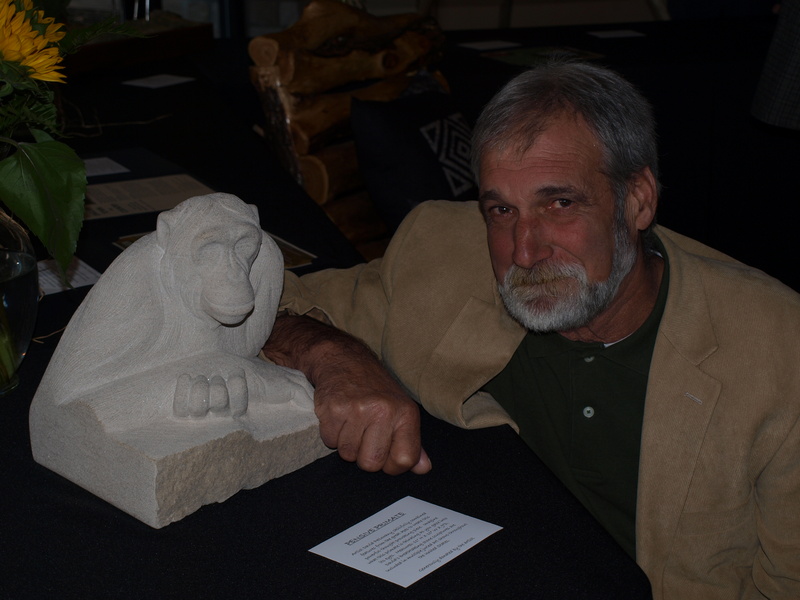 His research ranges from parasite ecology of apes and macaques, to the biological and ecological foundations of primate behavioral traditions, and the potential animal origins of traditional medicine. This is a public lecture, beginning at 6 pm in the Neal-Marshall Grand Hall at 275 North Jordan Avenue. 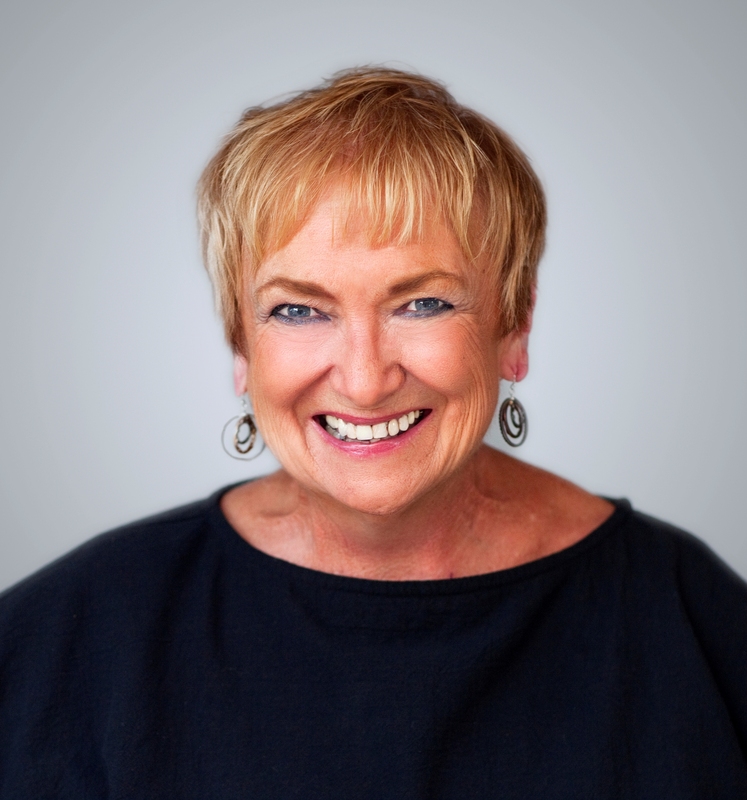 The event is part of the Primate Behavior Speaker Series and is co-sponsored by the Center for the Integrative Study of Animal Behavior, and the College of Arts and Science’s Themester. Dr. Huffman has written extensively on the behavior of macaques and chimpanzees. 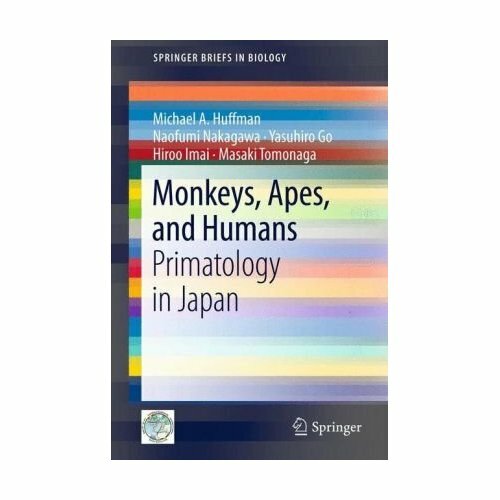 By describing exceptional studies currently being conducted at the Primate Research Institute of Kyoto University, Dr. Huffman introduces readers to the world of Japanese primatology. 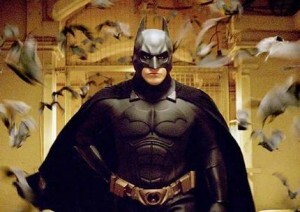 I’m not the first person to notice the recent surge in popularity of superheroes. Not the “more powerful than a locomotive, faster than a speeding bullet” type – our collective interest seems to be focused on the guys who don’t have superpowers, but still want to change the world for the better. Batman and Ironman come to mind. Both are fabulously wealthy, and have a basement full of technology that help them fight the bad guys. Batman – determined to make the world a better place. 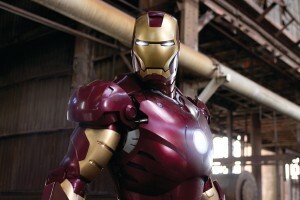 No superpowers here – but lots of expensive technology. 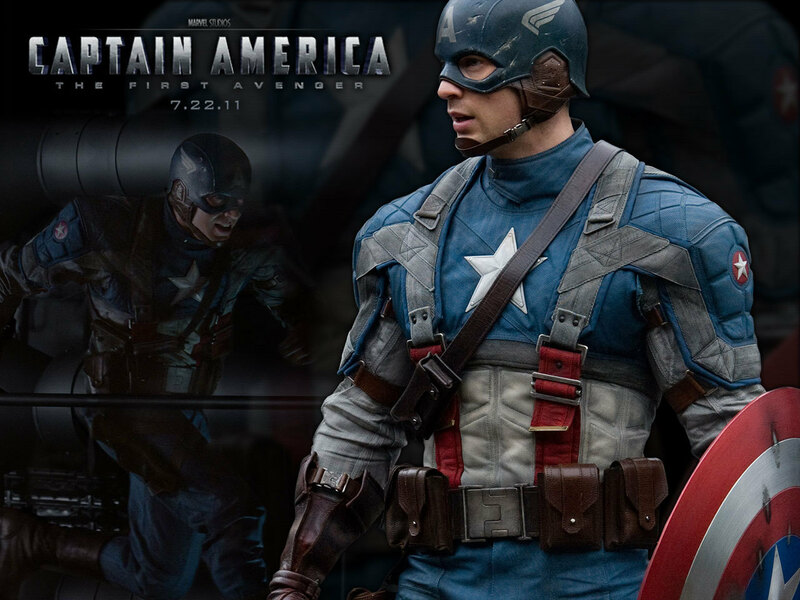 Captain America (the name says it all) started out so frail that the military didn’t want him. But, with a little bit of help from experimental medicine, he became a super soldier and defender of the free world. A patriot, hero, and defender of good. Of course, these fictional characters have been around for decades, but they’re currently enjoying more attention than ever. Why so popular now? I think it might be a sign of the times. There’s more than enough bad news to go around. We want something positive, something uplifting, something that reminds us of the bright side of humanity – we also want something real. Over the course of last week, I had the privilege to spend time with several real heroes, people who are doing remarkable things to conserve species and save the natural world. All of them were finalists for the Indianapolis Prize, the world’s leading award for animal conservation. Each of these 6 scientists are remarkable, enjoyable, and humble people. None more so that Dr. Steven Amstrup, the 2012 recipient of the award. 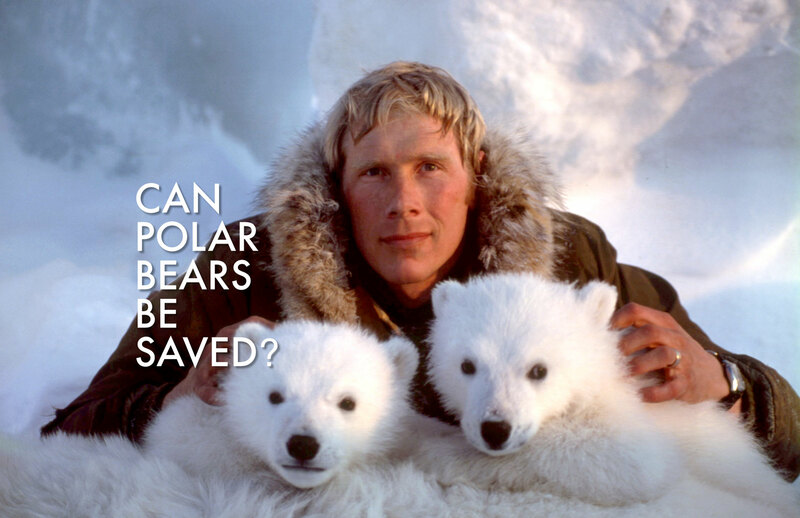 Dr. Amstrup, of Polar Bears International, continues to be a strong and clear voice advocating for the conservation of polar bears and their habitat. All of the events surrounding the Prize were terrific, but for me, the spirit of the award is exemplified by the “Meet a Hero” event held on a Saturday morning at the Indianapolis Zoo. All of the Prize finalists are in attendance, as well as the winner, and their job is to talk with kids – and they do it with gusto. Hundreds of kids gather to meet the heroes individually, get an autograph, take a photo, and be inspired. All of the heroes share their stories, encourage an interest in nature and science, and make sure that the kids (and adults) know that species are worth saving, and that everyone can do something to make a positive difference. Conservation is a noble cause, and there are heroes fighting the odds every day – the Indianapolis Prize gives them a chance to take the spotlight. Halloween is right around the corner. Forget about the Ironman or Batman costumes. Grab a parka from the closet and dress your kid up like Steve Amstrup – there’s a real superhero for you. 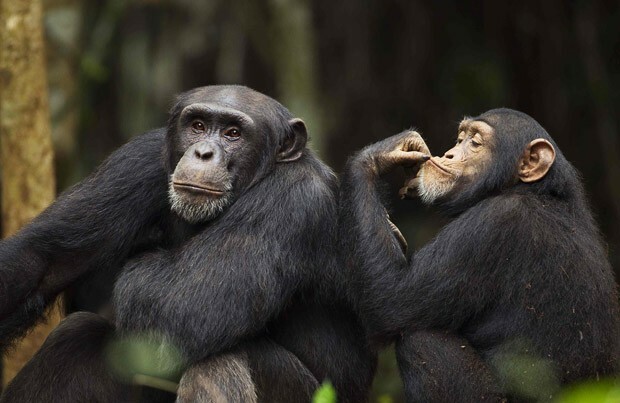 On October 2nd, Dr. David Watts from Yale University will present a public lecture on chimpanzee behavior at Indiana University, Bloomington. His presentation will occur in the Neal-Marshall Grand Hall at 275 North Jordan Avenue, and begins at 6:00 pm. 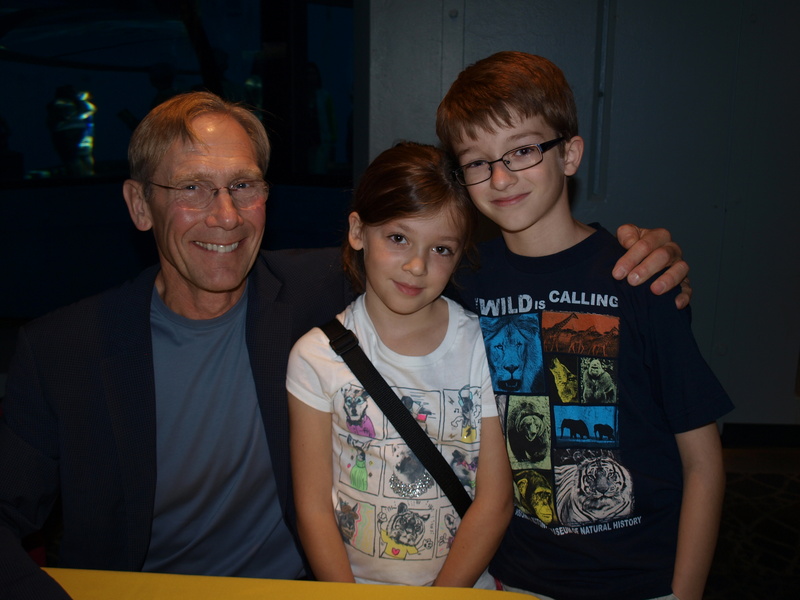 He has remarkable experience studying great apes in the wild, and is a skilled and engaging speaker. His lecture on the chimpanzees of Ngogo will surely be engaging and enlightening. This event is part of the Primate Behavior Speaker Series that will occur throughout the Fall semester, co-sponsored by the Center for the Integrative Study of Animal Behavior and the College of Arts and Science’s Themester. Conservation is hard work. Working effectively on behalf of any species involves exceptional dedication and relentless optimism, and the people who do it well are truly remarkable. In the 1980’s, I met Charlene Jendry. 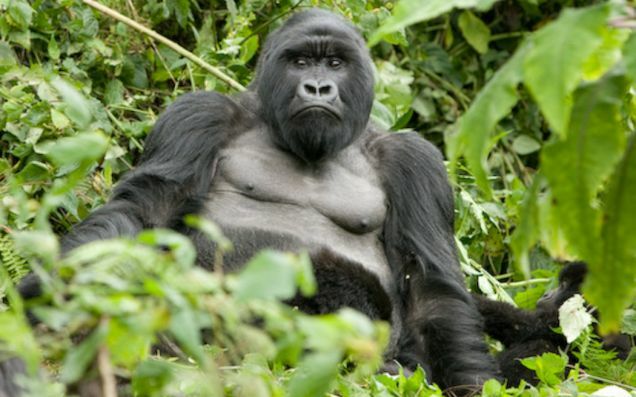 At the time, we were both caring for gorillas – me at the National Zoo and Charlene at the Columbus Zoo. Our shared devotion to great apes led to a friendship right away, but I started thinking of her as family years ago. In 1991, Charlene co-founded Partners in Conservation (PIC), a grass-roots conservation organization dedicated to the preservation of mountain gorillas. PIC is guided by the fundamental principle that effective conservation requires collaboration with local people. With this idea as the foundation, PIC has evolved into a major force for good. PIC has developed relationships with artisans and craftsmenliving near mountain gorilla habitat, buying their products forfair prices that allow the people to live with dignity. Most of thesepartners are women – many who lost their husbands during theRwandan genocide. The opportunities provided by PIC allow themto support their children and have great optimism for the future.The proceeds that PIC generates are directed back to the people whoprotect and care for mountain gorillas – trackers, veterinarians,guards, and so on. How’s that for a wonderful cycle? This past Saturday, I attended PIC’s 18th annual Fete which is held at the Columbus Zoo. This year’s theme was “Small Steps – Big Changes”. Although I can’t say that I’ve been at all 18, I’ve attended more times than I’ve missed. The very first Fete (I was there!) raised about $10,000 for mountain gorillas. This year, PIC raised a bit more than that, actually about $250,000 more. 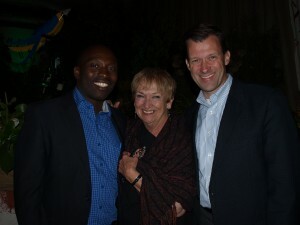 These are just really good people with pure intentions who are doing great conservation work. One of the best things about attending the Fete is the chance to meet colleagues who are doing important work in the field. This year, I was so happy to spend time with Dominique Bikaba, the executive director of Strong Roots, a conservation organization based in the Democratic Republic of Congo. This talented and humble man is responsible for things like gettting 100,000 tree planted every year to create buffer zones between forests and villages. As the trees grow, local people can harvest and use the wood rather than cutting down the gorilla habitat for the resources they need. PIC provides Strong Roots with support and Dominique gets the work done where it counts most. Of course, support for conservation can come in a variety of forms – including art. That leads me to David Petlowany, a sculptor with talented hands and a very big heart. As in past years, his work was part of the live auction at the Fete, and bidding is always fierce. Conservation isn’t easy, and there are times when it involves one step forward and two steps back. But, “Small Steps” in the right direction, with the right people, really do make “Big Changes”. John Hart and a number of talented colleagues announced today, September 12th, that they have discovered a new species of monkey, called the lesula. This significant finding was made in the Lomami Basin in the Democratic Republic of Congo (DRC), a remote area where scientific exploration is relatively recent. 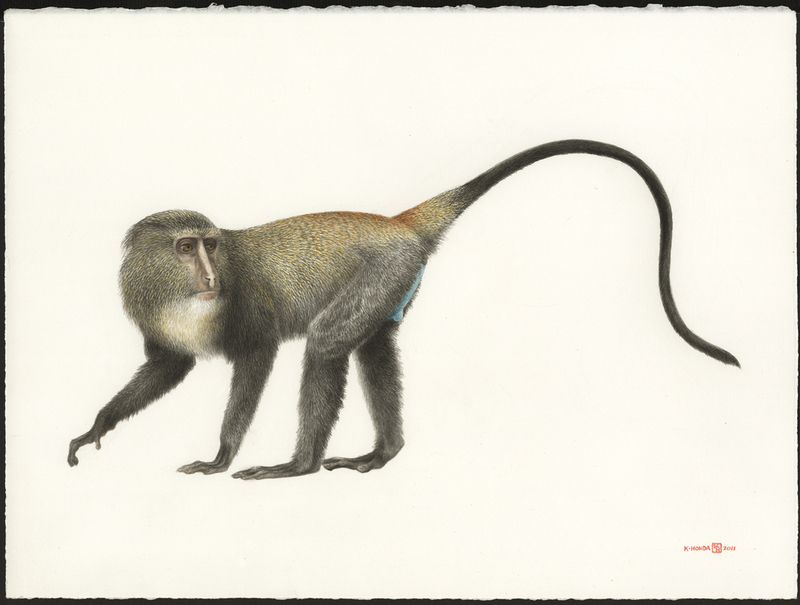 This monkey is a member of the group of primates commonly called guenons, and was given the scientific name Cercopithecus lomamiensis. The authors note that this is the first new species of monkey to be recognized in Africa in 28 years. Click here for a link to the full article published in PLOS ONE. John Hart gave a wonderful interview on NPR about the process of proving the discovery – definitely worth a listen. I find it incredible that new species are still being discovered. In this case, we aren’t talking about something hidden in a volcanic vent at the bottom of the ocean. The lesula is a relatively large primate, and Hart reports that they are fairly abundant. The lesula stirs my imagination about wild places, unknown animals, and the thrill of discovery. This is the stuff that makes science cool. Today, September 4th, 2012, was the ceremonial groundbreaking for the International Orangutan Center at the Indianapolis Zoo. Construction gets underway later this month, and the whole complex opens Memorial Day weekend in 2014. Zoo CEO Mike Crowther, Gov. 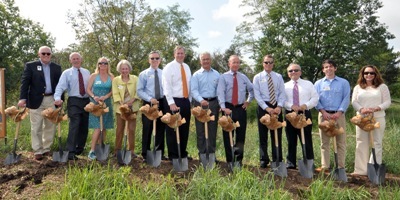 Mitch Daniels, and Mayor Greg Ballard were among the VIPs who turned the first shovels of dirt for the project. I was really moved by today’s event – and so were about 200 people who attended. Board Chair Allen Cohen gave a terrific intro, and set the stage perfectly. 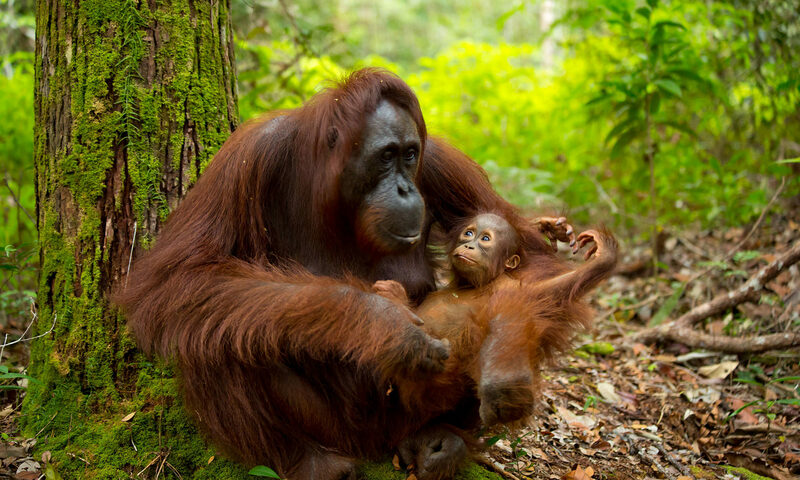 Governor Mitch Daniels talked about the endangered status of wild orangutans – I was impressed. 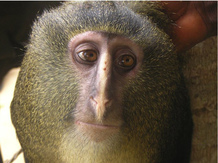 What a positive thing to have our governor express care and concern about one of the world’s most endangered primates. Well done Mitch. Mayor Greg Ballard was also there, and genuinely enthusiastic about the project. He noted that the project will be a jewel for the city, and a great way to introduce science to kids. Correct on both counts! Mike Crowther, CEO of the Zoo, was inspirational. He’s dedicated to the conservation of orangutans, and is finding innovative ways to get the job done. When it comes to the conservation of orangutans, good news is hard to come by – but not if you were in Indianapolis today.